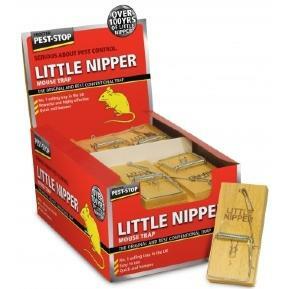 The Little Nipper mouse trap is the original wooden platform mousetrap and one of the most effective traps available. Bait to attract the mouse is placed on the treadle, which is raised when the trap is set. The mouse has to cross the treadle to reach the bait. The slightest motion is enough to trigger the trap, delivering an astoundingly high catch-rate. Sold individually not in boxes.